The Delhi Common Entrance Test Syllabus 2019 comprises the topics based on subjects of class 10th or 12th of CBSE board. The prelims of CET Delhi Polytechnic will conduct 4 tests consists of several questions from the multiple disciplinary topics of the board. Fascinating students who are going to sit in the exam this year can check the comprehensive structure of syllabus through this piece of writing. Delhi Polytechnic exam is a key to pursue and follow dream career in the discipline of engineering, non-engineering, professional and management field. With CET Delhi 2019 many auspicious students get an optimistic podium of opportunities to enrol their grounds for full-time diploma courses at the eminent polytechnic institutes of Delhi. But before getting into the eligible syllabus let’s take a look at the other details of Delhi CET 2019 Polytechnic Exam. Find more details here. 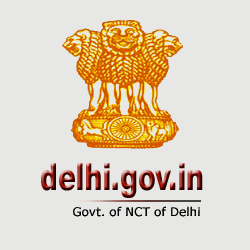 The Delhi CET also known as Delhi Common Entrance Test is a state level competitive exam for the admission seekers in prestigious Delhi based polytechnic institutes. With this entrance exam, students will pursue two years of diploma courses or one-year certificate courses in World Class Skill Center. The exam will be organized by the Department of Training and Technical Education, Govt. of NCT Delhi. The deadline to submit the final application is 30th April 2019 and the exam will be held on 08th and 09th June 2019. Other Time-related Norm: Candidates belonging to the PWD category will get more 50 minutes in the total time duration. The questions in the exam will be asked from the subjects like Chemistry (30 questions), Physics (40 questions), Mathematics (50 questions), Biology (15 questions), and English (15 questions) from the Class 9th and 10th CBSE Board. Apprentices who are willing to pursue diploma courses in Modern Officer Practice English/Hindi need to prepare major disciplines including English/Hindi Comprehension including Grammar (60 questions) of Class 12th level, Current Affairs (45 questions), and Analytical & Logical Ability (45 questions). Enthusiast candidates who wish to take admission in two years diploma course in Pharmacy stream. The question paper will carry questions from the disciplines like Chemistry (45 questions), Physics (45 questions), Biology (60 questions) and Mathematics (60 questions). Subjects like Chemistry and Physics are compulsory to attempt while there is a choice between Mathematics & Biology. All the questions asked in the exam will consist of units/topics from class 10th, 11th, and 12th of CBSE board. This exam is conducting for the lateral entry students in diploma courses. The examination paper will comprise topics of class 10th, 11th, and 12th Mathematics (60 questions), Physics (60 questions) & Chemistry (30 questions).